Great Place to Work® is pleased to announce the 2019 list of Canada’s Best Workplaces™ in Retail and Hospitality. To be eligible for this list, organizations must be Great Place to Work Certified™ in the past year and work primarily in the Retail or Hospitality industry. We determined the best based on employee responses to our Trust Index survey. The digital revolution is affecting every industry and retail and hospitality are no exceptions. Skip the Dishes and Airbnb are transforming hospitality, while Amazon and eBay are taking their toll on traditional brick and mortar retail. To stay competitive, organizations must be agile, innovative and customer focussed; and they need great employees to do this. At the Best Workplaces™ in Retail and Hospitality, customer-facing employees are engaged and inspired to become effective brand ambassadors. 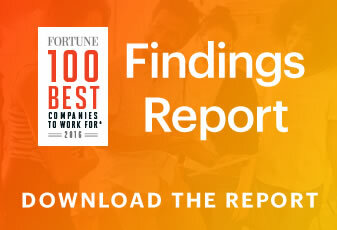 When surveyed, 81% of employees working in these organizations said they feel they make a difference to the company’s success, 90% are proud to tell others where they work and 81% want to work there for a long time. One of the most effective ways to ensure your employees are brand ambassadors is to get them hooked on your product! At adventure travel company G Adventures, employees are entitled to one familiarization trip every 10 months. There are no destination restrictions, and G Adventures covers the cost of the trip. At Hilton, team members not only receive deep discounts on room rates and perks they can share with family and friends; they also receive an upgrade in Hilton Honors status so they can enjoy the same privileges as that of a loyal guest. And when a team member reaches 10 years of service, they receive the discounted rate for life even after separation. Employees working at COBS Bread retail bakery locations receive $10 worth of product at the end of every shift. No matter the industry, all great employees have one thing in common - a desire to improve their skills on a daily basis. JOEY Restaurant Group offers a three-year Culinary Apprentice program to support cooks in achieving their Red Seal. Toronto-based eatery Hopscotch partnered with celebrity chefs Vikram Vij and Carl Heinrich this past year to create seasonal menu where staff get to learn and work alongside such talent. At the Best Workplaces™ in Retail and Hospitality, employees are rewarded for their loyal service to the organization. For example, Sleep Country Canada celebrates every single employee's 10 years’ service milestone with an ultra inclusive trip to Mexico with a guest. At TJX, associates are recognized every time they achieve a 5-year service milestones with a gift of their choice and invitation to an extravagant luncheon ceremony. Register today to become Great Place to Work Certified™ and get recognized for the outstanding culture you’ve built or let us help you create a more productive work environment.